If you’ve been living under a rock then you won’t have seen every blogger and beauty lover raving about the newly and improved Benefit brow product range that is launching at the end of the month. With that being said, you can get your hands on one of their new releases before it hits shelves and I thought i’d share my first impressions so far on what is probably the best brow product i’ve ever used. A week or so ago I was just scrolling through my social media timelines as you do when suffering from pure boredom, and I had been seeing a few bigger bloggers raving about the uh-mazing Benefit brow boxes they had been received and with that I also found out that in this months Elle you can actually get your hands on a mini of one of the new Benefit Goof Proof Eyebrow Pencils (£18.50). As i’m a big fan of Benefit I knew that I needed to get my hands on this brow pencil, as my brows are definitely a big part of my makeup routine, without them i’d look un-human and with that I was absolutely blown away with this latest release. I went out pretty much the day after I heard the news that Elle were giving away this amazing freebie, and I instantly gave this latest release a go just to see how it compared to any previous brow products that i’d previously used as i’ve never really used a brow pencil like this. From all i’d read about the new and revamped brow range, and this has some pretty high expectations with what it claims to do. Being a super easy glide on and non sharpen tip that is said to be waterproof, and last up to 12 hours throughout the day – I was very intrigued to see how it stood up to these claims. I’ve been using this for about a week now, on a daily basis replacing my previous brow product of choice and so far I am very pleased with the results i’ve had. It’s very true when they say it is an easy glide on pencil that helps to not only fill in your brows, but it also helps to fill in any sparse areas of the brows. Initially I didn’t really think about the shade, but luckily the shade I ended up with is the perfect colour for my brows and when this is released later on this month, it will be available in five different shades which is an amazing array of choice. Also with the waterproof claims, I wouldn’t say it is 100% waterproof but it definitely withstands a good sweaty gym session and it stays put throughout the day, so much better than previous brow pencils that i’ve used. 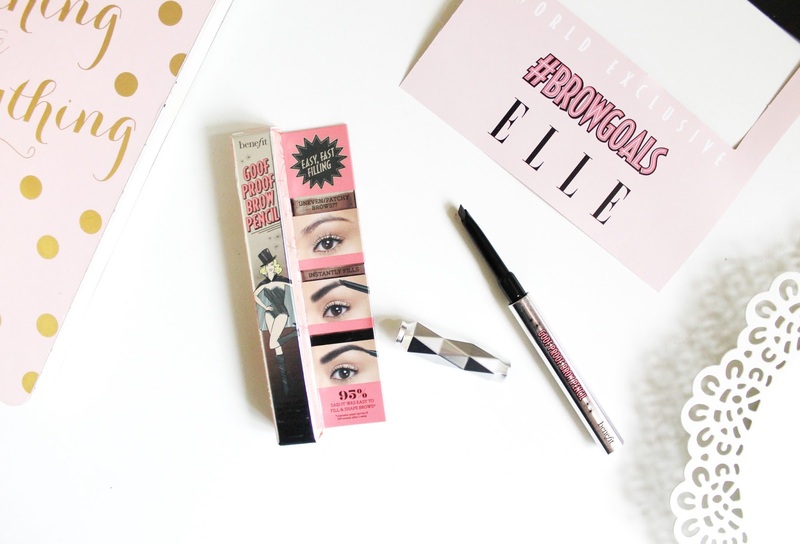 All in all i’m really impressed with this latest release from Benefit and i’m super excited to try out a few of the others products within their new brows range. Did you get your hands on this amazing freebie?